I'm not a baking cookies from scratch kind of gal. Both my daughters somehow grew up to be wonderful bakers but I can assure you that skill did not come from me! Although I don't typically bake from scratch, I still enjoy gifting sweet treats during the holiday season. So, what I typically do is look for a quality cookie mix. More times than not, I end up at my favorite kitchen store. If you know me, you know for a fact that's Williams-Sonoma! This year I picked up their Toffee Chocolate Chip mix. Yummy! 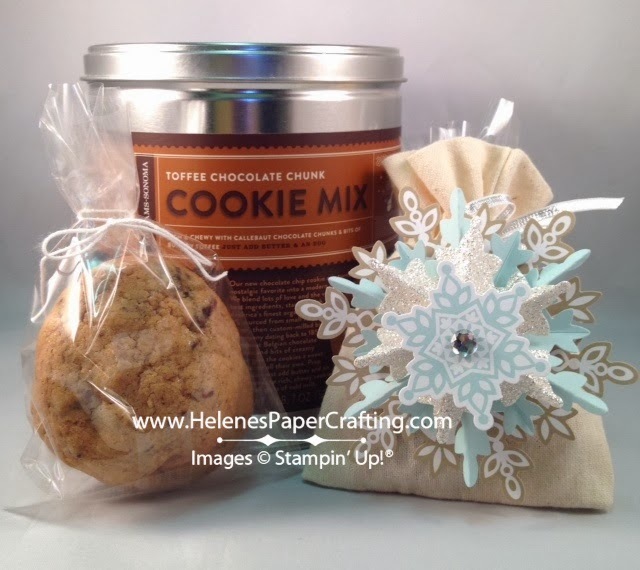 Once my cookies are baked, I package them up using the Stampin' Up! cello bags (item #102757) and some Whisper White Baker's twine (item #124262). This year I put the cookie package inside the Mini Muslin Bag (item #132180) and decorated it using the Festive Flurry Ornament Kit (135813). 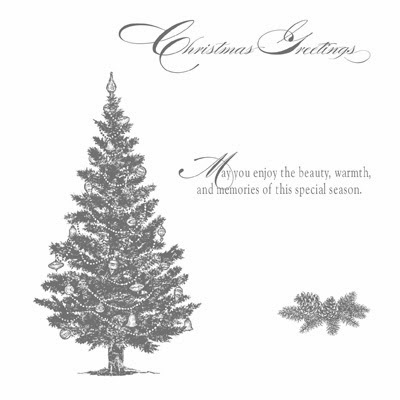 Joyful Christmas Wishes to You! The poinsettia really pops on this card against the beautiful gold foil sheet. 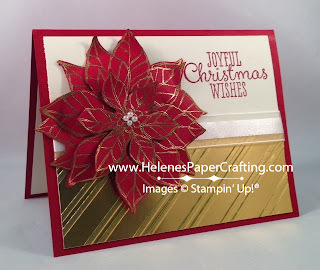 To create the poinsettia, I simply used Cherry Cobbler Card Stock, Gold Metallic Encore Pad and Gold Embossing Powder. I stamped and embossed the poinsettia three separate times. Then, I cut out two of the flowers fully and the third, I cut out only the center part of the flower. Using a bone folder, I curled the edges of all three flowers to give them some dimension. I used Stampin' Dimensionals to adhere each layer of the flowers together and flower to the card. Finally, I added some Pearl Basic Jewels to the center of the flower. 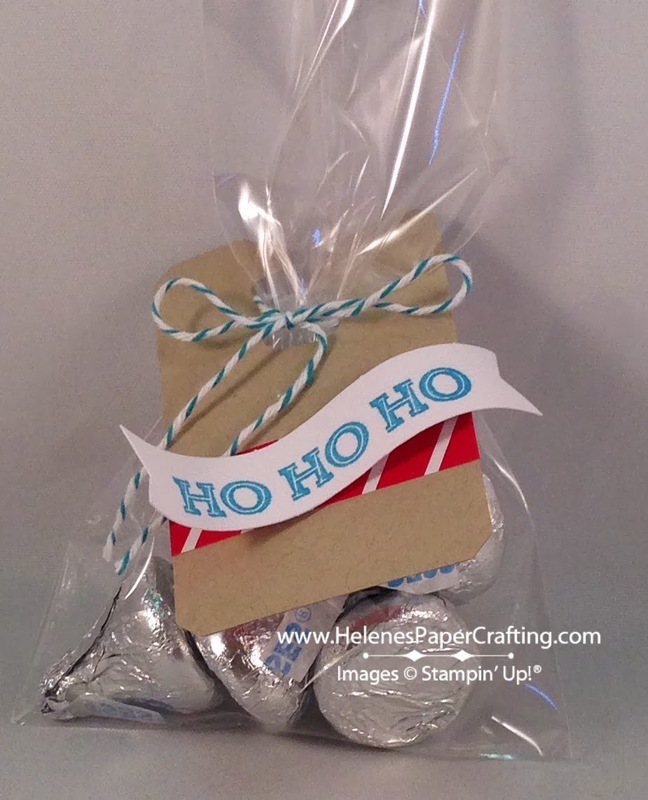 To give the Gold Foil Sheet a holiday look, I used the Stylish Stripes Textured Impressions Embossing Folder. Send some greetings of the season with this festive flurry snowflake card. 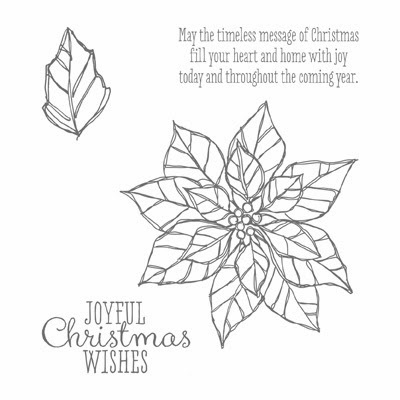 The Festive Flurry Stamp Set is bundled with the Festive Flurry Framelits Dies to save you 15%. 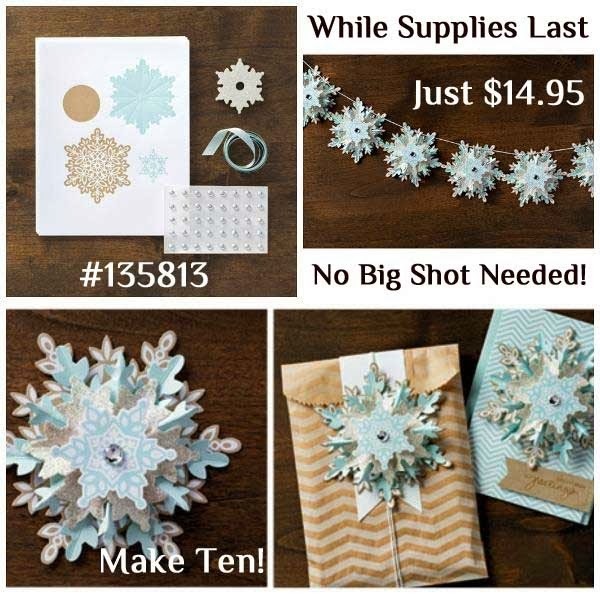 So get out your Big Shot and create an avalanche of snowflakes to add to your cards and holiday decor! Stamp Set: Festive Flurry *Bundle (wood - 131778, clear 131781) *be sure to use these item numbers to get 15% bundle discount. Whether you need to make neighbor gifts or treats for your child's class, get it done quickly and easily with the Real Red Goodie Gear Simply Created Kit. The kit contain enough elements to make 10 goodie bags: die-cut Kraft tags; printed, die-cut banners, stickers, Bermuda Bay Baker's Twine and 3'x5' cellophane bags. 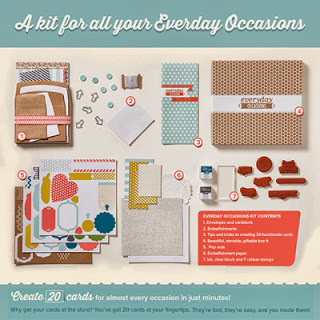 And, here's the best part, the kit is only $4.95! (use item #132161to order). Snowman Holiday Card with a Little Surprise! This little snowman is sooo adorable. Don't you think? And guess what? There's a little surprise inside, which is what I love most about this card. Well, next to how lovable the snowman is. It's a standard size card (4 1/4" x 5 1/2") that fits into a standard size (A2) envelope but when you open it there's a pocket inside to put a gift card. How adorable is that?! Read below for the tip on how to make it. Paper: Whisper White (100730), Pool Party (122924), and Island Indigo (122923) card stocks. Accessories: Rhinestone Basic Jewels (119246), Silver 1/8" Ribbon (132137), Sticky Strip adhesive (104294). 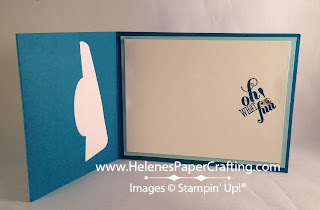 *Tip: Here's how to make the gift card pocket - simply cut a 4 1/4" x 11" piece of card stock. Score it at 2" and 5 1/2". Using an oval punch, punch half an oval out off the end that is closest to the 2" score line. Then, fold at that same score line and use double faced sticky strip to adhere the pocket closed. 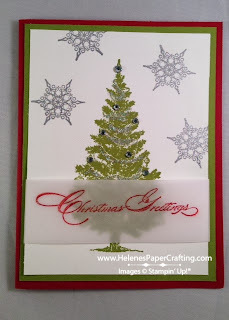 Complete the card as you would usually do making each additional layer 1/4" small than the first. It's that simple! An enduring symbol of the holiday season, a Christmas tree is perfect for all your seasonal projects: cards, scrapbook pages, home and table decorations. 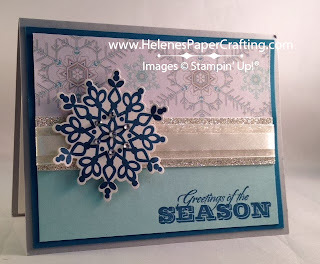 Add a little Dazzling Diamonds Stampin' Glitter for a snow-dusted effect. 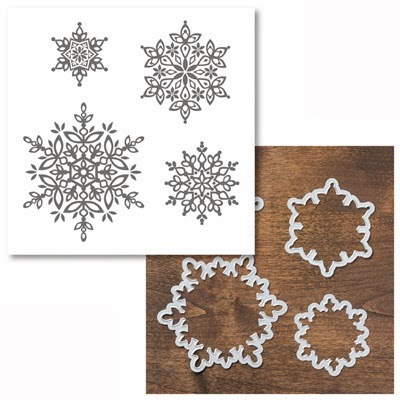 Add a little festive flare to your holiday decorating with the new Festive Flurry Ornament kit! 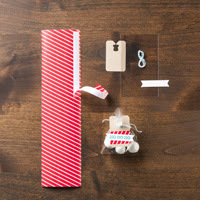 Top presents, embellish cards, create a wintery garland, trim the tree. How you use them is up to you! 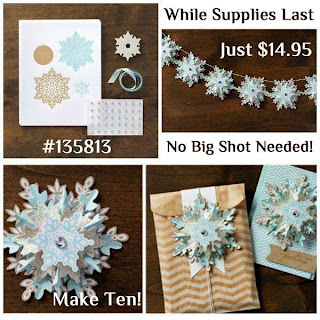 The kit includes everything you need (minus adhesive) to create 10 snowflakes, including 10' of Soft Sky Ribbon, printed card stock - die cut and scored ready to assemble (soft sky, crumb cake, whisper white and Silver Glimmer paper) and 40 large Rhinestone Basic Jewels to add just the right amount of sparkle! Be sure to use item#135813 when purchasing your ornament kit for only $14.95 - remember it's only while supplies last and this kit is sure to be a sell out.